The Irish Martial Arts Commission, which is recognized by the Irish Sports Council, does not include MMA among its recognized martial arts. The Department of Transport, Tourism and Sport does not recognise MMA as a sport. 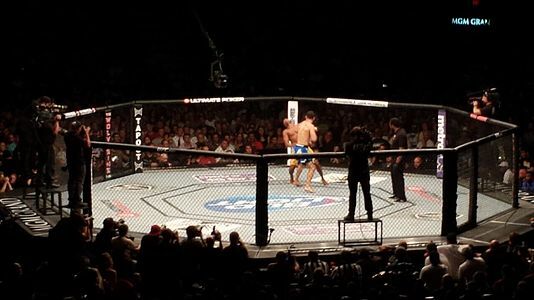 UFC Fight Night 46, featuring Conor McGregor, was held in Dublin in 2014. ^ "Judo vs. Boxing: "Judo" Gene LeBell Defeats Boxer Milo Savage in First MMA Fight". blackbeltmag.com. ^ "worldmmacouncil.org". Retrieved 12 June 2015. ^ "MMA organizations and upcoming MMA event news in Thailand". Combat 360X Muay Thai and MMA Camp Khao Lak. Retrieved 12 June 2015.